Mom Among Chaos received a free meal in exchange for this post. All opinions are my own. Trying new restaurants is a hobby of mine. I love food and getting a feel for the decor. 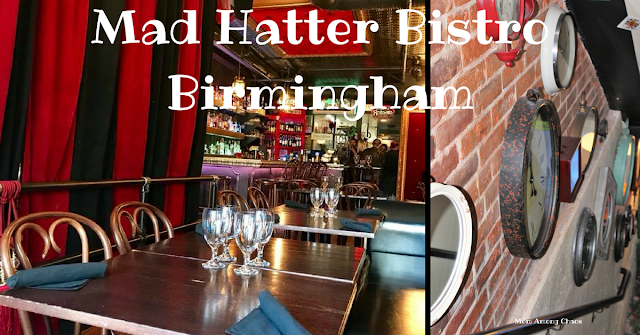 Nowadays, dining isn't just about the food it's about the experience, and you will receive just that when you walk in the door of Mad Hatter Bistro in Birmingham. The name is just what it suggests a restaurant themed around Alice in Wonderland. The restaurant is relatively small, so it's highly suggested to make reservations before you arrive. Mad Hatter Bistro is two levels. The main floor and the basement. The basement looks like it's setup for parties. The Mad Bistro Birmingham has several different menus depending on what time you come. My friend Rachel and I started with Crispy Brussel Sprouts. The manager highly recommended them. I have never made Brussel sprouts correctly, so I wanted to give them a try. Is your mouth watering? The Crispy Brussel Sprouts are cooked to perfection with chillis, walnuts and a bit of honey. They were delicious, and we devoured them. Isn't this drink gorgeous? This cocktail is one of the Mad Hatter's most popular beverages called the Red Queens Cosmo. My friend liked this sweet drink. This tasty warm coffee delight is called the Mexican Cousin. It's a heavenly treat with a touch of cayenne pepper that mixes well with the sweet flavors. If you're a coffee fan, I recommend trying it. I went with the Grain Bowl for lunch. It was healthy and flavorful. You get to pick which grain you want, meat, sauce, toppings, and bread. As you can see from the picture, I had fun with my toppings. The grain bowl is kind of like having a stir-fry dish. It's extremely filling. This girl can't say no to dessert. I shared the Saunder's Hot Fudge Cream puff with my friend, Rachel. I loved that this tasty dessert was not huge but just the right size. It was the perfect ending to a beautiful meal. The Mad Hatter Bistro's specialty is tea parties. We're talking tea, scones, finger sandwiches, and pastries. While we were there, it looked like someone had a bridal shower. The Mad Hatter Bistro is perfect for so many special events. I would have loved to have my baby shower there. Everything is adorable. Would I recommend the Mad Hatter Bistro? Yes, the decor is cute and refreshing. It's nice walking into something that's out of the ordinary. The food was excellent and the restaurant was cozy. I also really enjoyed the Motown music while I was visiting. Here are a few tips to make your visit go smoothly. Please call ahead to make reservations. As I mentioned, this is a cozy little place. Also, this restaurant is located in a busy shopping area in Birmingham. You may have to walk a few blocks for parking. The parking is metered. The Mad Hatter Bistro located at 185 N. Old Woodward, Birmingham, Michigan. 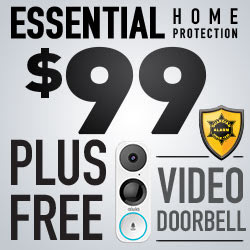 The phone number is (248) 540-0000. Visit http://www.madhatterbistro.com/ for more information!